The night of November 5 was a long one in Riyadh. Saudi authorities began a widespread crackdown aimed, on the one hand, against former economic policymakers and business leaders and, on the other, against the chiefs of the Saudi National Guard and Saudi Royal Navy. This had the look of a purge. But it is much bigger than that. The first newsflash announced the removal of Prince Mutaib bin Abdullah, the eldest son of the late King Abdullah who had a powerful fiefdom at the Saudi Arabian National Guard. Essentially a force of tribal recruits from throughout Saudi Arabia, the Guards’ structure still bears the mark of King Abdullah, who had overseen it since its foundation in 1962 and then passed it to Mutaib before the King’s death in 2015. Then it was the turn of Saudi economic moguls who have influenced financial policymaking and the domains that oversaw its implementation for years. The biggest detentions were those of Prince Waleed bin Talal, one of the richest men in the world and a nephew of King Salman; Ibrahim Assaf, former Saudi Finance Minister and father of Prince Waleed’s daughter-in-law; Prince Turki bin Abdullah, the former Governor of Riyadh; Turki’s cousin Adel Fakeih, Minister for Economy and Planning who had also served as Minister of Health and Labor. Khaled Al-Tuweijri, the extremely influential advisor of King Abdullah and head of his royal court, and Amar al-Dabbagh, the former head of the Saudi Arabian General Investment Authority, were among taken into custody. Business magnates like Saleh Kamel, Walid al-Ibrahim, and Bakr bin Laden, the owner of the Saudi Bin Laden group, were seized. Most of those arrested were prime figures in the political order under King Abdullah, with Khaled Al-Tuweijri, Prince Miteb, and Prince Turki among the most powerful members of the royal court. Ibrahim Assaf and Amar Al-Dabbagh were vital to economic policy. Adel Fakeih had been Mayor of Jeddah for five years and then became minister of various departments as well as chairperson of the Jeddah Chamber of Commerce. In the world of money and communications, Saleh Kamel and Walid Al-Ibrahim were owners of the Middle East Broadcasting Company and its subsidiary channels. Walid also launched Al-Arabiya News TV in which Abdul Aziz Bin Fahd, the youngest son of King Fahd, reportedly had major shares. This rattling of the political sphere was not just a consolidation of power by Crown Prince Mohammad Bin Salman, but the persecution of the members of King Abdullah’s policymaking circle. To strike against this conglomerate, the leftovers of the old order had to be scrapped, which meant that time was up for Prince Miteb and his family power over the National Guard. This was a continuation of Mohammad bin Salman’s approach in which he took over the security fiefdoms, as with the removal of Mohammad bin Nayef, King Salman’s nephew, at the Interior Ministry. The Saudi government has labelled the arrests an anti-corruption drive and touted them as a show of resolve to act against even the powerful. That taps into a far-from-new discourse of powerful elites making money through corrupt practices. In an interview with Bloomberg, the Crown Prince’s advisor Mohammad al-Sheikh spoke of uncontrolled spending during the oil boom of 2010-2014, with $80-$100 billion lost through inefficiency each year. These financial habits and dealings had led Saudi Arabia into a difficult situation. In April 2016, when he offered his profile to Bloomberg, Mohammad bin Salman — then “only” the Defense Minister — was not powerful enough to move. He and his advisors did not name the names of those whom they held responsible. But with MBS’s ascension to Crown Prince in June and his ejection of Mohammad bin Nayef, the ground was prepared for the big political leap. 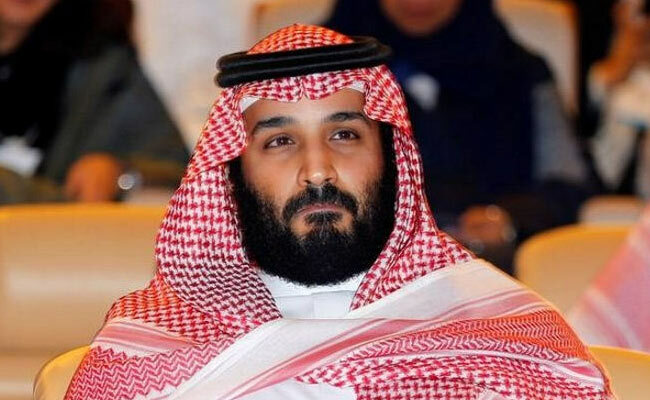 The swinging of the axe of the Saudi state against the Abdullah circle could fulfil economic motive and satisfy a PR objective, raising the Crown Prince’s profile with the Saudi populace and a comprehensive media campaign . For now, Mohammad bin Salman has checked any attempts by the Saudi elite to question his grand schemes of the Economic Transformation Plan and Vision 2030. Having already detained religious dissenters, the Crown Prince has secured his economy and business fronts. The way is clear, if all goes to plan, for him to take the Saudi throne. PreviousIs Iran Establishing a Military Base near Syria’s Capital Damascus?